ORDER FROM A FAMSA STORE IN THE USA THROUGH OUR SPECIAL CATALOG AND WE DELIVER TO YOUR FAMILY OR FRIENDS IN MEXICO, GUATEMALA, EL SALVADOR AND HONDURAS! SEND IT TODAY, PAY LATER with our Famsa Credit. EASY, FAST AND SAFE product delivery. OVER 16 YEARS OF EXPERIENCE you can trust. 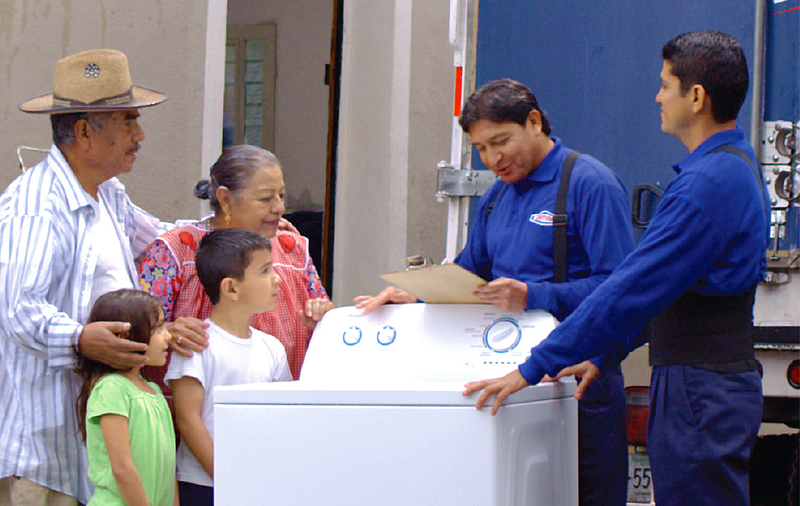 WE BRING HAPPINESS to many families in Mexico and Central America. Largest selection of products such as furniture, mattresses, appliances, electronics and more. We guarantee delivery of merchandise in up to 7 days in metro areas. Send your gifts with no risk of theft or damage, and no extra charges. With furniture, mattresses or appliances purchase of $1,599 or more. at regular price. Cannot be combined with other offers. See store associate for details.